Two runs on soft/heavy so far for this 2 yr old gelding have resulted in him making the frame on both occasions, so he shouldn't be unduly worried by the conditions here today. 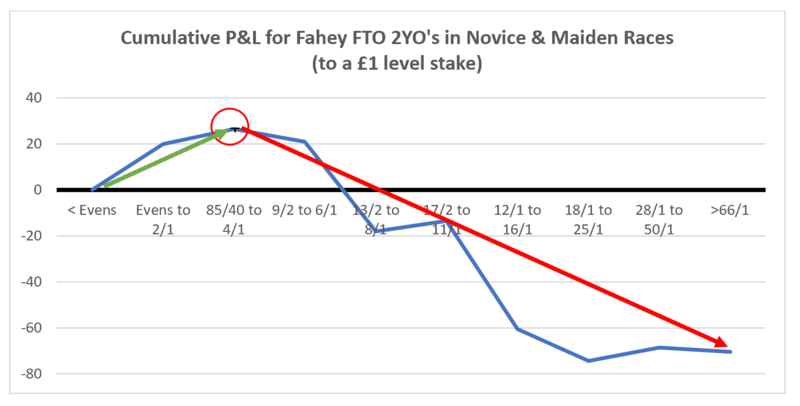 The step up from 6f to 7f has looked like one he needed to make, whilst crucially those two placed finished I just mentioned were both at Class 2 and this is a Class 5 contest! The drop in class, the extra furlong and his aptitude with cut in the ground suggested to me that he might well have been overpriced, although the market hasn't yet agreed with me, perhaps he's the right price after all? and 1 from 1 for 1.17pts on a 2 yr old. Haydock play host to the sprinters on Saturday, with a pair of competitive looking Group Two’s. The Temple Stakes at five furlongs and the Sandy Lane at six, regularly attract elite speedsters, with both races having been won by the best in the business. The Temple Stakes was established in 1965 and was run at Sandown until 2008. Its roll of honour is a thing of beauty, containing the names of sprinting legends. Dayjur was victorious as a three-year-old in 1990. Considered by many as the best, he went on to win the King’s Stand, the Nunthorpe and then the Prix de l’Abbaye at Longchamp. Had he not famously ‘jumped the shadow’ in his final start in America, he would have surely added the Breeders’ Cup Sprint. In contrast, Lochsong was virtually drawing her pension when winning this race as a six-year-old. Ian Balding turned this moderate performer into a world beater during the 93/94 campaigns. During a golden period, this beast of a mare landed the Temple Stakes, the King’s Stand, the Abbaye twice and the Nunthorpe. Sole Power was one of the modern-day sprinting sensations. On a going day, this diminutive star had a devastating turn of foot, with a running style (held up to the last moment) that made him thrilling to watch. He landed the Temple Stakes in 2012 and twice won the Nunthorpe and the King’s Stand. Though also a Group Two, it’s fair to say that the Sandy Lane Stakes lacks the kudos of the Temple. That’s understandable as the race is only open to three-year-olds rather than established sprinters. Nevertheless, Quiet Reflection and Harry Angel won the last two renewals prior to dominant campaigns at six furlongs. The launch of the Commonwealth Cup at Royal Ascot has given this event a shot in the arm. It’s now seen by many trainers as the perfect prep for the race at the Royal Meeting. Battaash is the star attraction at tomorrow’s meeting, as he attempts to defy a penalty to land the Temple Stakes. This is the seasonal debut for the four-year-old, so there’s likely room for improvement. It’s his performance in the Prix de l’Abbaye at the end of his three-year-old campaign that has everyone so excited. He demolished a classy field by four lengths at Chantilly and if arriving at Haydock in that sort of form, will surely take all the beating. The field looks a strong one, and the result is no formality. Kachy, Muthmir, Mabs Cross and three-year-old Havana Grey, are certainly no mugs. Several of these will head to Royal Ascot for the King’s Stand Stakes and Battaash will need to bring his ‘A game’ if he is to prevail. I’ve decided to steer clear of the Temple for tomorrow’s tip, and instead focus on the six-furlong Sandy Lane Stakes. There’s no standout contender for this, though the quality of this year’s renewal remains high. We currently have three runners at the head of the market. Clive Cox knows a thing or two about producing top-class sprinters, and may have another in the yard, with the talented filly Heartache. She was certainly one of the leading juveniles, winning the Queen Mary at Royal Ascot and finishing the season with a victory in the Flying Childers at Doncaster. Those wins came at five-furlongs, though she finished strongly on both occasions, hinting that a step up to six would not be an issue. She looks a classy sort and should go well. Invincible Army is also to the forefront of the betting and has the advantage of already having had a run. He was an impressive winner of a Group Three at Ascot earlier in the month, following on from a successful juvenile campaign. Runner-up in the Molecomb, the Gimcrack and the Dubai Duty Free Mill Reef Stakes, he consistently performed at a high level and looked a horse likely to strengthen into an already powerful frame. Tough and consistent, I’m not sure he has the ‘wow factor’, though he looks sure to be in the shake-up. Richard Fahey and Paul Hanagan have had a cracking start to the season and in Sands Of Mali have an intriguing contender. He disappointed in his final starts as a juvenile, having comfortably beaten Invincible Army at York in the Gimcrack. He was hugely impressive that day on the Knavesmire, dominating from the front and staying on powerfully to fend off all-comers. There was no fluke about the result, and a repeat of that sort of performance would surely see him go very close. He has a run in France under his belt, so ought to strip fighting fit. James Garfield drops back in trip following a decent performance in the Guineas. He defeated Invincible Army in last year’s Mill Reef Stakes, though there was little between the pair. This trip may be as sharp as he needs, as I’m not convinced that he has tons of natural speed. Nevertheless, he has a terrific attitude and will be battling on bravely in the latter stages. I have the feeling that he’s vulnerable to a speedier type. John Gosden is not known for producing sprinters, but he has an interesting contender in Emblazoned. By Invincible Spirit out of a Bahamian Bounty mare, he looked very exciting when winning at Yarmouth last time. Unraced at two, it’s impossible to say whether he can mix-it at this level against horses that proved their ability as juveniles. Nevertheless, he looked a colt of huge potential last time. And in a race where many appear to be of a similar standard, this fella may possess star quality. Barraquero and Unfortunately cannot be dismissed, as they also possess strong juvenile form. The former landed the Richmond Stakes before a shin problem curtailed his juvenile campaign. Karl Burke’s colt won the Group One Prix Morny prior to a disappointing run in the Middle Park Stakes. Both look capable of a big run in this hugely competitive renewal. Whoever lands this prize will become one of the favourites for the Commonwealth Cup at Ascot. I fancy Sands Of Mali will go close, but I’m going to take a chance with Emblazoned. Though not known for his sprinters, Gosden’s colt is bred for the game and could be special. Best of luck to those having a punt. I’d be lying if I said the Cheltenham Festival went well from a punting perspective. I spent the week siding with favourites that lost and opposing those that romped home. But like a phoenix rising from a Prestbury Park Pyre, I intend to get back on track, with the aid of a change of code. The curtain lifts on a new turf flat season, with the Lincoln Handicap Saturday’s highlight at Doncaster. Run over a straight mile, the race has a habit of producing upsets. Four of the last six renewals have gone to those at odds of 20/1 or greater. There’s only been two successful favourites in the last dozen years. Richard Fahey has a strong recent record with a couple of wins in the last six. He often arrives mob-handed with his most prominent pair last year finishing fourth and fifth. The Malton handler sends three into battle this time round, with last year’s fourth Gabrial having another crack. A former winner of the race, he’s now a nine-year-old and arrives on a 4lb lower mark than 12 months ago. He was a cracking fifth in the valuable Balmoral Handicap on Champions Day back in October. That performance came on this type of ground and a repeat would see him terrific value at 33/1. It’s four, five and six-year-olds that tend to win the Lincoln, though this fella looks sure to go close again. Stamp Hill appears to be Fahey’s other major hope. The five-year-old needs to improve off a career high mark but will love the ground, and his trainer sounded more than hopeful in his Sporting Life column yesterday. A course winner, he needs to see out the trip and is another 33/1 shot with a fair chance. Michael Bell’s Fire Brigade has been all the rage at the head of the market. He put in a string of solid performances as a three-year-old when only out of the frame twice in 10 starts. Up just 4lbs from last season’s concluding mark, you’d be hopeful that he’s strengthened physically since October and with ground in his favour he looks a major player. On last year’s form he’s closely matched with the William Haggas-trained Addeybb. This four-year-old by Pivotal will also appreciate ground conditions and finished just ahead of Fire Brigade when winning over a furlong further at Newmarket back in September. The pair are closely matched in the betting and look sure to finish close on the track. It’s pretty much guesswork as to who will have improved the most for a winter’s break. They’re hard to split on known form. Lord Glitters was an emphatic winner of the Balmoral on this type of ground and followed that performance with a close second in a listed event at Newmarket, when probably not favoured by a small field. Winning top-weights are rare, with Babodana in 2004 the last. Yet David O’Meara’s five-year-old still looks unexposed to me and the ground looks key to his chances. I’d be surprised if he didn’t go very close. 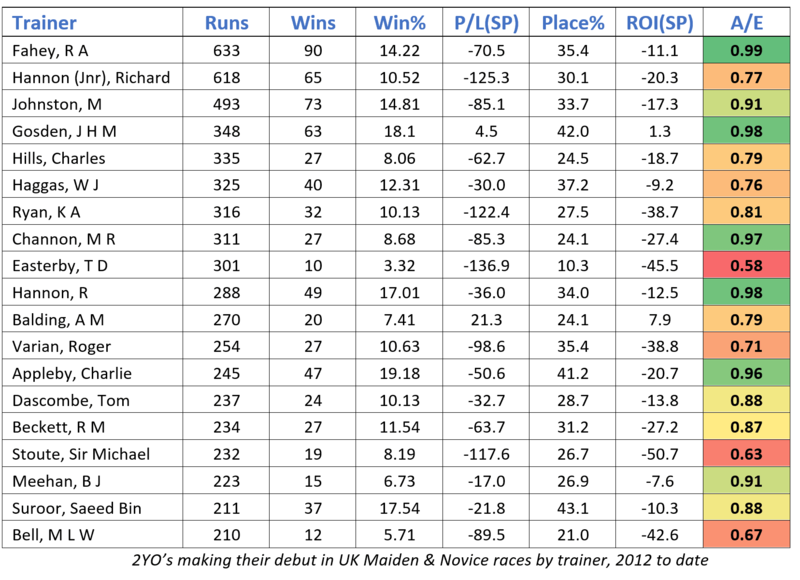 Dark Red is capable of a big run having gone close in the Balmoral behind Lord Glitters. The ground isn’t an issue and he’s better off at the weights with his Ascot nemesis. I’d be surprised if he won but he’s another 33/1 shot with a fair chance at placing. The James Tate-trained Via Via also looks over-priced on his performance behind Lord Glitters at Newmarket. This six-year-old, by Lope De Vega, is lightly raced and should enjoy both track and ground. His handicap mark of 101 is 6lb lower than Lord Glitters and I fancy he’ll go very close. Taking on favourites has not gone well for me in recent weeks but I’ll be doing so again tomorrow. Lord Glitters will be tucked away in this big field and delivered as late as possible. I take him to defy top-weight and add to that impressive Balmoral success. I fancy Via Via is far to big at 33s and he’ll be my each-way punt. Best of luck to all those having a crack at this prestigious and valuable handicap. It was a case of ‘like father like son’, as Cracksman provided the show-stopping performance of Champions Day 2017, to capture the Champion Stakes. So often during his illustrious career we witnessed Frankel powering clear of the opposition, winning his races by a country-mile. And so, what a thrill to see Cracksman mimic his ‘old man’ at Ascot yesterday. It wasn’t always that way for Gosden’s talented colt, but this late season version has packed on the power and is able to maintain a relentless gallop despite testing conditions. The question is whether he possesses the gears to be as effective on a sounder surface, but there’s no doubting that he is a machine in the mud. Frankie Dettori had him tucked in behind the leaders in the early stages yesterday, but on turning for home the jockey struck-out for glory. Cracksman immediately put lengths between himself and the field, and with stamina aplenty powered clear in devastating fashion. He hit the line a yawning seven lengths clear of Poet’s Word, with Highland Reel third. It proved to be a sensational day for Gosden and Dettori. They caused something of an upset earlier in the day, when Persuasive swooped late to take the QEII. Ribchester had looked the likely winner at the two-furlong pole, when moving stylishly to the front. But he began to flounder in the testing ground and approaching the furlong mark Dettori launched an attack aboard the grey filly. She handled conditions better than the rest for a huge victory, with Ribchester and Churchill chasing her home. A successful Champions Day is the icing on the cake for Gosden, having had a glorious 2017 campaign. The firepower at his disposal can only be surpassed by one other trainer. And many Flat racing fans had arrived at Ascot in the hope of seeing Aidan O’Brien break Bobby Frankel’s Group One winning tally. Team Ballydoyle have yet again set the standard for others to follow, and though Caravaggio and Churchill came mighty close, it was another outstanding filly that gave them the Group One success they so desperately sought. Hydrangea, like Cracksman, is another talented racehorse from a Pivotal mare, and as such had no problem coping with the testing ground. The issue was whether she would see-out the trip, having never previously attempted the mile and a half. When French filly Bateel loomed large at the furlong pole, Hydrangea’s stamina was put to the test, and she responded admirably to Ryan Moore’s urgings. Pulling out plenty for pressure, she battled on bravely to win by two-lengths. O’Brien also landed the opener, when Order Of St George produced a battling performance to take the Long Distance Cup. He needed every yard of the straight to get his nose ahead of Jess Harrington’s Torcedor. John Gosden’s well-fancied three-year-old Stradivarius, produced another performance full of promise in finishing strongly to take third. He remains a young horse with a huge future. Harry Angel’s Ascot hoodoo continued when he made it 0-4 at the track in the Champions Sprint Stakes. He’d travelled wonderfully well through the race, but possibly struck for home a little early at the two-pole. The writing was on the wall as he entered the final furlong, with Tasleet attacking to his right and Librisa Breeze to his left. As Harry crumbled it was Dean Ivory’s grey Librisa, that found plenty for pressure, pulling a length clear of Tasleet at the post. Caravaggio got going too late, but managed to pip Harry A for third. The final race of the day went to yet another grey, when Lord Glitters came with a thrilling late rattle to nab Europe’s most valuable handicap, the Balmoral. Stuck out the back with nowhere to go, Daniel Tudhope switched the David O’Meara trained four-year-old to the wide outside with just a furlong remaining. In the clear, he thundered home, hitting the line a neck ahead of yet another Gosden runner, Gm Hopkins. It was a suitably thrilling finale to an exhilarating Champions Day. This 3yr old gelding gets a handy 4lb weight for age allowance here and arrives at the Roodee in great form, having finished 1121 in his last four outings, including a win over course and distance last time out. The jockey from that day, Connor Murtagh, now rides him for a second time and was able to take 3lbs off a mark of 77 for that win seven weeks ago. Today he takes 7lbs off 90 and with 4lb allowance (W4A), they should still be competitive. 1/1 on Soft ground and 1/1 under Connor Murtagh. 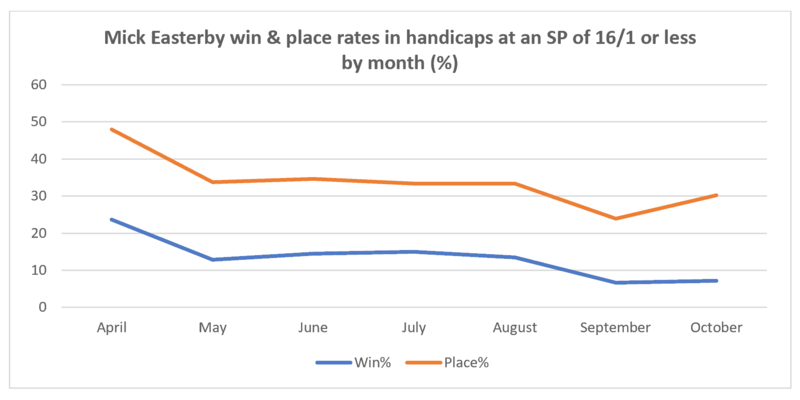 Finally, Connor Murtagh is 3 from 9 (33.3% SR) for 16.85pts (+187.2% ROI) when sent off at 10/1 or shorter on the back of a Richard Fahey handicapper here at Chester. There’s been a fair amount of chat on social media in recent weeks surrounding the performance at stud of Frankel and Sea The Stars. Still very much in their infancy as budding Stallion superstars, the attention they are attracting is understandable after such illustrious careers on the track. Galileo remains the ‘daddy’, but the likes of Frankel, Sea The Stars and Nathaniel are exciting recent additions to the bloodstock brigade. Another Sire having a season to remember, is Rathbarry Stud inmate Acclamation. From their base in Co Cork, the Cashman’s house several outstanding stallions of both the Flat and National Hunt scene. Presenting and Robin Des Champs are standouts of the winter game, responsible for the likes of Vautour, Quevega, Denman and War Of Attrition. Acclamation was formerly a high-class sprinter, placed in the Temple and the King’s Stand Stakes in 2003. Later that year he finished third to the exceptional Oasis Dream in the Nunthorpe at York, before ending his career on the track with a fourth-place finish in the Abbaye and a fifth-place spot in the Hong Kong Sprint. He has proved an exceptional sire for numerous years now, and it’s no surprise that the bulk of the success has come with sprinters. His list of winning progeny includes; Equiano, Dark Angel, Harbour Watch, Mehmas and Hitchens. With more race wins than any other sire in Europe during the 2016 campaign, his lofty stud fee of €30,000 is quite understandable. He remains at the peak of his powers, continuing to be responsible for high-class thoroughbreds. Marsha was undoubtedly the flag-bearer in 2016, with several sparkling performances, culminating in a stunning success at Chantilly in the Prix de l’Abbaye. Sir Mark Prescott’s filly has retained that outstanding form during 2017, with a win and three placed finishes at the highest level. She looks sure to be competitive in a thrilling looking Nunthorpe Stakes at York later this month. Daban is another filly with huge potential, and could have an exciting latter part of the campaign. Third in the 1000 Guineas at Newmarket, she was arguably slightly disappointing when sixth in the Jersey Stakes at Royal Ascot. She’s a possible for the Hungerford at Newbury in a couple of weeks, and remains a filly with a bright future. Trained by John Gosden, it would come as no surprise should she head to America later in the year. Without doubt the star-turn from the Acclamation bloodline this summer has been the Sir Michael Stoute-trained Expert Eye. Owned by Khalid Abdullah and sporting those famous Juddmonte silks, this exciting juvenile produced a stunning performance in winning the Group Two Vintage Stakes at Goodwood last week. He’s a powerful looking sort, blessed with plenty of speed and clearly ample stamina to be effective at seven-furlongs. He’s favourite for next year’s 2000 Guineas, and certainly has the potential of adding his name to the select list of Acclamation Group One winners. Another who could finish the season strongly, especially with juice in the ground, is Martyn Meade’s Aclaim. The four-year-old ran a cracker in France over the weekend, when a close second to Brando in the Maurice De Gheest. 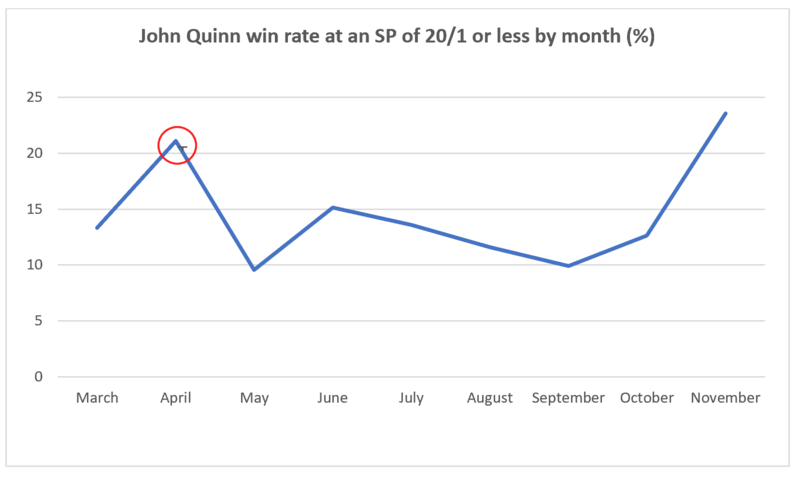 He finished last season with three victories on the spin, and looks the type that thrives on his racing. Seven-furlongs appear his ideal trip, though a stiff six on soft ground would also suit. There’s a big race victory in him, I’m sure of it. Finally a mention for a couple of juveniles that are creeping along nicely, and look set for further success as the campaign progresses. Regulator has a win and two seconds from three career starts. Trained by Richard Fahey, the Cheveley Park colt probably found Chester plenty sharp enough last time, and back on a more galloping track should again be visiting the winners’ enclosure. I’d also keep faith with Ismail Mohammed’s Wasim, who proved disappointing last time at Doncaster. He was giving weight all-round that day, and had previously run a hugely promising race at Haydock. He finished ahead of Mutakatif on debut, and that horse had split Expert Eye and Barraquero in June. That form is strong, so keep an eye-out for Wasim over the coming months. Personally, I’ll be keeping a watchful eye for any Acclamation youngsters, especially over trips from six-furlongs to a mile. With 28 intended runners, Saturday’s Stewards Cup at Goodwood is not for the faint-hearted punter. The six-furlong handicap has often been kind to fancied contenders, though heavy rain with the resultant testing conditions, may well throw a spanner in the works. Upsets are often the order of the day when the words soft or heavy appear in the ground description. The classy three-year-old filly Dancing Star delivered for punters 12 months ago, and was chased home by her market rival Orion’s Bow. In 2015, Magical Memory was sent-off favourite and duly obliged in the hands of Frankie Dettori. Another three-year-old, he followed that success with a third-place finish in the Group One Sprint Cup at Haydock. The race often attracts classy sorts who progress to Group level. Hawkeyethenoo was another talented winner, when landing the prize in 2012. A few months later he came within a length of capturing the Champion Sprint Stakes at Ascot. Borderlescott won in 2006, and back in 1992 the wonderful Lochsong announced herself as a sprinter with a bright future. 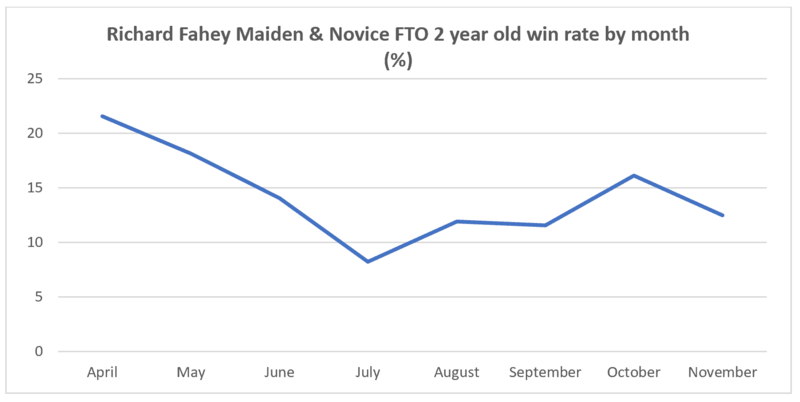 Three-year-olds have landed the last two renewals, though four and five-year-olds have a strong record in the race. A pair of six-year-olds have also been successful in the last 10 years. Five of the last six winners have been rated in the 100s, emphasising the elevated standard of those contesting the prestigious event. Danzeno attempts to defy top-weight tomorrow, having won a valuable handicap over five-furlongs at Ascot last time. He’s up 6lbs for that success, and though track, trip and conditions will be fine, it’s a tough ask for the classy six-year-old. I think he’ll run a big race, but he’s vulnerable to a progressive sort. Royal Ascot’s Wokingham Stakes is often a pointer to this. Six of the first eight home a month ago renew rivalry here, with Roger Charlton’s Projection currently our market leader. He was third in the Wokingham, though first in the group down the stands’ side of the track. Very much fitting the brief of progressive four-year-old, the gelding has some eye-catching form, including a close fourth behind Dancing Star and Priceless in a handicap at Newmarket last July. He was fifth in the Stewards’ Cup consolation race last year, when sent-off favourite. Unlucky in running that day, he looks a leading contender for tomorrow’s race, and should go close. Polybius was just a neck behind Projection at Ascot and has a 4lb pull in the weights. A six-year-old, he appears to be in the form of his life, and was a fast finishing second to Danzeno last time at Ascot. He’s unproven on the ground, though his pedigree (out of a Selkirk mare) suggests he’ll be fine. His handicap mark looks a winning one, and at 14/1 he looks a huge player. Richard Fahey’s runners always deserve a second look in such races. Eastern Impact certainly has the class to win this event, and has seen his handicap mark drop from a career high of 113 to its current 103. Ahead of Projection when runner-up at Newmarket in May, he was then a few places behind that rival at Royal Ascot. Sixth in last year’s Darley July Cup, he has the necessary talent to win, though he too needs to prove he can handle such testing conditions. Fahey also has the well-fancied Growl towards the head of the handicap. He was last seen chasing home Harry Angel in the July Cup, and has plenty of strong handicap form to his name. The ground is a slight concern to me. It’s not that he won’t cope with testing conditions, but he’s always looked at his best on a sound surface. He’s a contender, but I think he’ll be placed at best. Robert Cowell is a master trainer of sprinters, and won the race with Intrinsic in 2014. Outback Traveller is an interesting contender, who at his best could certainly go close. He won the Wokingham in 2016, with the ground on the soft side of good, defeating the classy Brando in the process. Out of sorts since, I fancy he could put-in a decent performance, back on a fair mark, with conditions more to his liking. Sir Dancealot looks to uphold the recent good record of three-year-olds. David Elsworth’s youngster will be ridden by Ryan Moore, and as such is understandably attracting support in the betting. He was runner-up in the Bunbury Cup at Newmarket last time out, finishing ahead of the Wokingham runner-up Steady Pace. It took him a while to get going that day, but he stayed on strongly up the final climb. He’s handicapped to go close, but will need to travel better through the race to be near enough to strike. I’m siding with Polybius for David Simcock. By the mighty Oasis Dream out of a Selkirk mare, the six-year-old is running better than ever, and is on the right sort of handicap mark to take this. I’ll also have a few quid on Outback Traveller in the hope of a return to form. Best of luck to those having a punt. It’s hard not to feel deflated after yesterday’s washout at Goodwood. The heavens opened, and at the eleventh hour, Aidan O’Brien decided to protect a major asset, removing Churchill from the battlefield. It was probably a wise decision, as the remainder waded through mud, posting a winning time some 10 seconds slower than The Gurkha 12 months ago. The seven-year-old Here Comes When caused an upset in defeating the red-hot favourite Ribchester, with Lightning Spear back in third. The favourite had loomed large a couple of furlongs out, but then appeared to almost pull himself up. Jim Crowley struck for home on the eventual winner, and looked to have the race in safe keeping, only for William Buick to summon a renewed effort from Ribchester. The line arrived too soon for the Godolphin colt, and it was Andrew Balding’s experienced campaigner that lifted the prestigious pot. Aidan O’Brien was also left mulling over future options, and the possibility of that much anticipated clash with Ribchester, when saying: “It's extreme out there now. There are other races coming up for him. If he stays at a mile he will go to France (Prix Jacques le Marois, August 13), if he steps up to a mile and a quarter he will go for the Juddmonte (International, at York on August 23). We came here wanting to run and we're very disappointed that we're not running. That has to be a concern for the rest of the meeting. Other eagerly anticipated clashes are sure to be at risk, with conditions extremely testing. Today’s Nassau Stakes has already lost some of its sparkle with the withdrawal of Shutter Speed. Queen’s Trust is at her best on quick ground, and has to be a doubt. What looked a classy field of fillies, could very quickly be whittled down to less than a handful, with Ballydoyle’s Winter a virtual certainty. With conditions likely to improve somewhat by Friday, it is hoped that the exciting field of sprinters in the Group Two King George Stakes, take their place at the start. Battaash has looked an exciting youngster, though his trainer Charlie Hills had voiced concerns over the prospect of testing ground. He looked incredibly quick in his two victories at Sandown, and it’s hoped he’ll take his chance. The Clive Cox trained Profitable is set to oppose. Runner-up in the King’s Stand at Royal Ascot last month, he’ll love the ground and should run a huge race. Marsha is another for who conditions will prove something of an unknown. She’s a rapidly improving filly, but has yet to encounter soft ground in 11 starts on turf. She finished a head behind Profitable at Ascot, and has since run well in defeat at the Curragh. Other notable entries for this tasty looking sprint are Priceless, Kachy, Washington DC and Take Cover. The last two were first and second 12 months ago, though that renewal was run on lightning quick ground. Richard Fahey made it three from the last five, when Bengali Boys romped to victory in Newbury’s Super Sprint. Splitting into three groups from the off, the guys down the centre of the track had a distinct advantage, and from the pack Barry McHugh sent Bengali B to the front at the two-furlong pole. He coped better than most with the rain-softened ground to storm clear in the closing stages. Maggies Angel had come-in for strong support prior to the off, and ran well to make it a one-three for Fahey. Declarationoflove split the pair in second. Corinthia Knight was miles clear of those that stayed stand-side, and finished an admirable fourth. Along with the winner, his performance was arguably the most eye-catching. It proved to be a cracking weekend for trainers of juveniles in the north, when yesterday Karl Burke captured the Group Two Prix Robert Papin at Maisons-Laffitte with Unfortunately. Sent-off the outsider in a field of six, the youngster battled bravely for victory, as British trainers dominated the finish. The leaders came close inside the final furlong, with the winner keeping the spoils after a stewards’ enquiry. The Tom Dascombe-trained Frozen Angel went down by just half-a-length, with Clive Cox’s Heartache a short-head back in third. The form of the race has helped a little to bring some clarity to the juvenile sprint division. Frozen Angel had finished fourth to Sioux Nation at Royal Ascot, a place behind the recent July Stakes winner, Cardsharp. That pair look to be towards the head of the pile. Whilst Heartache had won the Queen Mary at the Royal Meeting, and looks to be one of the quickest juvenile fillies. She was possibly a little unlucky this time, having been bumped early, and consequently running with the choke-out for most of the five and a half furlongs. The winner had previous experience at the track, having finished runner-up in the listed Prix La Fleche in June, and clearly enjoys his trips abroad. Unfortunately looks a solid sprinter rather than an outstanding one, and it’s likely the good to soft ground played to his strengths. I’ll stick my neck out and say that the second and third will reverse form on quicker ground, especially over the minimum trip.